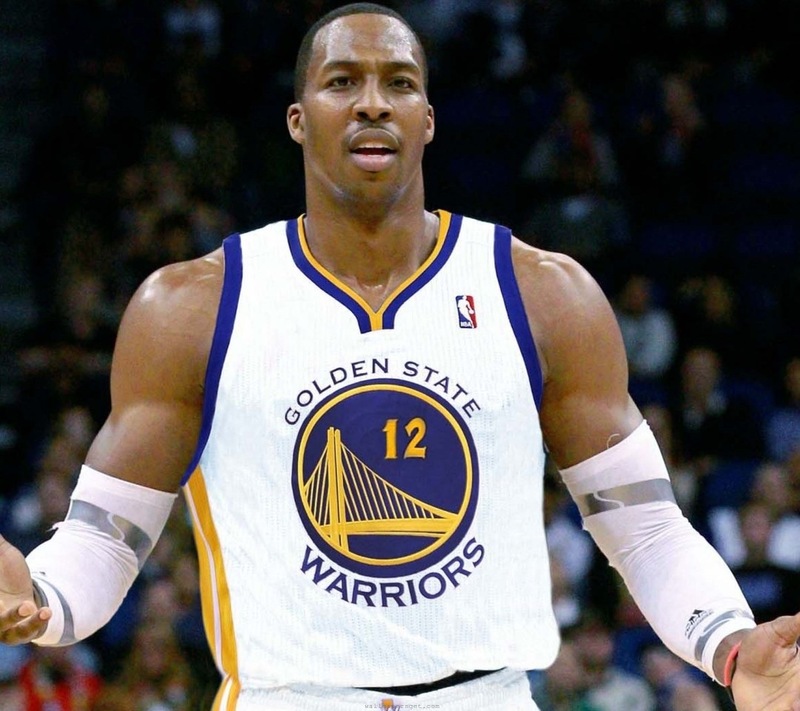 After a season where the Golden State Warriors surprised everyone by reaching the second round of the Western Conference playoffs, Dwight Howard is reportedly interested in joining the Warriors. Not long ago, Howard shied away from the Warriors, but the young team’s recent success has made them part of a possible free agent destination list that also includes the Los Angeles Lakers, Atlanta Hawks, Dallas Mavericks and Houston Rockets. Howard may be seen as the most talented center in basketball, but do the Warriors need his service? In his first drama-filled year with the Lakers, Howard 17.1 points per game, 12.4 rebounds and 2.4 blocks per game. He was just named to the All-NBA Third Team. The Warriors also have their own big man named to the All-NBA Third Team in David Lee. The honor was the first for a Warriors player since 1994. Lee, a power forward, averaged 18.5 points and 11.2 rebounds per game. At center the Warriors still have Andrew Bogut, who is due to make $13 million next season. The often injured big man only played in 32 games in the regular season. In that short span he averaged 5.8 points and 7.7 rebounds per game. If the Warriors are equally interested in Howard, they will have to trade or drop Bogut. With Howard’s attitude and tendency to not show up at times, is he a player that Warriors should invest in long-term with a big contract? Golden State already has one young player that is reaching star status. Stephen Curry is finally starting to get real recognition after a season in which he averaged 22.9 points and 6.9 rebounds per game. He joined an elite group of Larry Bird, Magic Johnson, Rick Barry and Calvin Murphy to average those numbers while making 90 percent of his free throws. Curry is the youngest player in NBA history to do so. Along with Curry, Klay Thompson and rookie Harrison Barnes are emerging as top flight scorers on their own. All talk about the Warriors snagging Dwight Howard is fun speculation, but as the San Jose Mercury News points out, it simply will not happen. The Warriors salary for 2013-14 is up over $75 million, which would likely put them into the luxury tax (it was $70.3 million this year). So the Warriors won’t have the space to ink Howard to that max deal — which will be the going rate for Howard. The Warriors only possibility of signing Howard is via sign and trade. They will not — and should not — trade any of their young core and it’s unlikely Bogut would accept a trade or even be wanted by the Lakers. Instead of fussing about Howard, the Warriors need to focus on developing their emerging stars while getting healthy. Jarrett Jack and Carl Landry are also possible free agents that helped the Warriors out in their first season for Golden State. The drama of Dwight Howard’s free agency has just begun with news of his hopeful destinations, and soon he will reign all over Sports Center once again.